For those familiar with Sand Castings, this is probably nothing new to you; but if you are new to the sand casting world this may clarify some things for you. The surface finish of a raw sand casting is not exactly visually appealing or smooth. The actual process of sand casting is what restricts the surface finish of the raw casting. Sand casting uses chemically bonded sand to form the mold in which the molten metal is poured. If you can imagine the texture of a sand castle on the beach, then you have the general idea of a sand mold. When the molten metal is poured into the sand mold and solidifies, it gives the surface of the casting a rough texture. In many cases the surface finish of the casting is not important or at least not important for most of the casting. 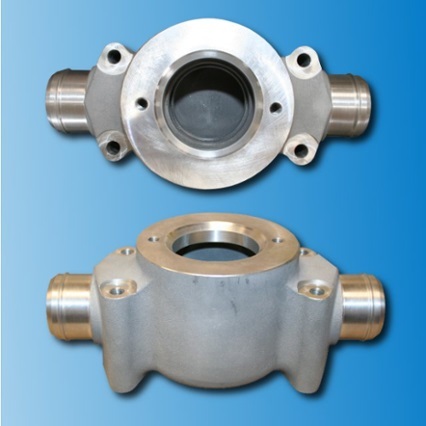 Some parts of the casting may be required to be machined, such as a flange, in order to produce a pressure tight seal. The first picture shows a casting that is partially machined, you can see the difference between the machined and non-machined areas of the casting. In this next picture, you can see the before and after photo of the machining of a casting. 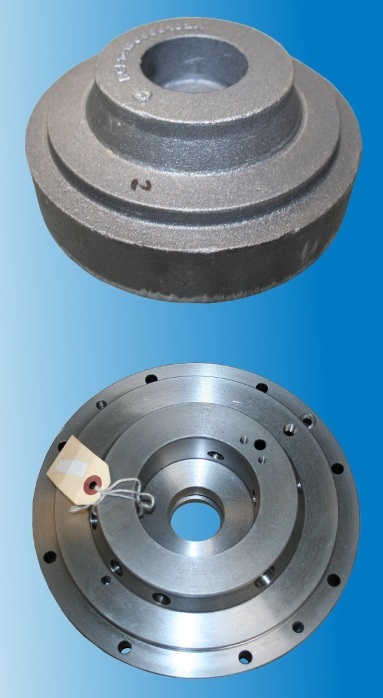 This entire casting was machined to meet tolerance and weight requirements. Pictured below is a high performance electric motor frame for the engineers over at SIMIS. Machining the casting eliminated the rough texture of the raw casting. Machining is usually required with sand castings, but in this case the entire casting needed to be machined to meet tolerance and weight restrictions. Hopefully this cleared up any confusion you may have had about the surface finish of a sand casting.